1. Which legislation sets out the regulatory framework for the marketing, authorisation and pricing of pharmaceutical products? The regulatory framework for marketing and authorisation of pharmaceutical products is set out in Law No. 95 of 14 April 2006 regarding the reform in the health field, title XVII, as amended and completed, which implemented Directive 2001/83/EC on the Community code relating to medicinal products for human use, as further amended and completed (Law 95/2006). The pricing of pharmaceutical products is set out by Order No. 75 of 30 January 2009 for the approval of Norms regarding the calculation manner of the prices of medicines for human use, issued by the Ministry of Health, published in the Official Gazette no. 62 of 2 February 2009 (Order 75/2009). 2. Which body or bodies are entrusted with enforcing these regulatory rules? In Romania, the national competent authority to issue marketing authorizations is the National Medicines Agency and the authority competent in the field of establishing and endorsing the prices for imported or domestic medicinal products is the Ministry of Health. It seems that, for competition purposes, the establishing and endorsing of the prices for imported or domestic medicinal products has been the most important part of the regulatory framework. The applicable legislation in the field of competition law consists of Law No. 21/1996, as amended and republished (the Competition Law), together with the regulations and guidelines issued by the Competition Council. 5. Are there guidelines on the application of competition law that are directly relevant to the pharmaceutical sector? No, there are no regulations or guidelines that specifically target the pharmaceutical sector. 6. Which authorities investigate and decide upon pharmaceutical mergers and the anti-competitive effect of certain conduct in the pharmaceutical sector? The sole public body in charge with the enforcement of competition policy is the Competition Council. Consequently, all the pharmaceutical mergers that meet the relevant thresholds are subject to its approval, as is any conduct that might have an anti-competitive effect in the pharmaceutical sector. 7. What remedies can competition authorities impose for anti-competitive conduct or agreements by pharmaceutical companies? If the Competition Council finds, through a decision, that one or more pharmaceutical companies have taken part in an anti-competitive agreement or exhibited anti-competitive conduct, it can impose a fine of up to 10 per cent of the turnover derived during the previous year, on the territory of Romania. Furthermore, if there is an anti-competitive agreement involved, the respective agreements or clauses that breach the Competition Law provisions are null and void by effect of law (from the moment they are concluded, but subject to them being declared in breach of the Competition Law). 8. Do private parties have competition-related remedies if they suffer harm from anti-competitive conduct or agreements by pharmaceutical companies? What form would such remedies typically take and through which means can they be obtained? In accordance with the provisions of article 61 of the Competition Law, private enforcement is available to any third parties who have suffered losses due to behaviour that was incompatible with the provisions of the Competition Law. Such third parties can pursue an action in court against the allegedly offending parties, irrespective of whether or not there is a Competition Council decision to the effect that the anti-competitive behaviour actually took place. There has not been, as of yet, any action for private damages. 9. May the antitrust authority conduct sector-wide inquiries? If so, have such inquiries ever been conducted into the pharmaceutical sector and, if so, what was the main outcome? In accordance with the provisions of article 34 of the Competition Law, the Competition Council is entitled to initiate investigations ab officio, including sector inquiries. While there have been a few investigations on the market for pharmaceutical products, there has never been, as of yet, a sector inquiry into this market. The National Medicines Agency and the Ministry of Health are the two national public bodies in charge of the legislative framework in this sector. Their competence includes setting of prices, authorising of pharmaceutical products, and issuing norms regarding the safety, quality and efficiency of pharmaceutical products. The Ministry of Health is also in charge of national health programmes. On a regional level the European Medicines Agency (EMEA) has competencies with respect to authorisation and supervision of medicinal products for human and veterinary use, with effects also on the Romanian market. However, since the Competition Council remains the sole body authorized to ensure the application of the competition law provisions in this sector, there is no issue of conflict of jurisdiction. 11. Can antitrust concerns be addressed with industrial-policy type arguments, such as strengthening the local or regional research and development activities? charging, in the long run, substantially lower prices to the consumers. Individual exemptions are usually granted in relation to exclusive distribution agreements and horizontal agreements, etc. Article 5(2) does not apply to per se infringements, referred to as ‘hard-core’ restrictions and covering the type of conduct that always infringes competition provisions, irrespective of the market share of the concerned undertakings. Consequently, such infringements cannot be exempted on the basis of industrial-policy type arguments such as the ones mentioned above. Such infringements include agreements between competitors that fix prices, allocate markets or restrict the quantities of goods or services to be produced, bought or supplied. Examples of hard-core restrictions in vertical relationships are resale price maintenance and certain territorial restrictions. No such groups are currently active in competition matters on the Romanian pharmaceutical market. 13. To what extent are the sector-specific features of the pharmaceutical industry taken into account when reviewing mergers between two pharmaceutical companies? While there is no case law expressly proving that such features are taken into account, the particular importance attached to research and development in the pharmaceutical industry, for example, would most likely be taken into account by the Competition Council when reviewing a merger between two pharmaceutical companies. 14. How are product markets and geographic markets typically defined in the pharmaceutical sector? From a geographical standpoint, the relevant market is usually defined at a national level, due to the specific characteristics of each national regulatory regime. From a product standpoint, the relevant market is typically defined at an ATC-3 level. 15. In what circumstances will a product and geographical overlap between two merging parties be considered problematic? There are no clear guidelines that identify the point at which an overlap, from a geographical or product standpoint, would be considered problematic. The main test to be applied is whether or not the concentration would create or strengthen a dominant position. In order to determine this, the market share of the resulting entity would be taken into account and, as a rule of thumb, a finding of dominance would be unlikely for a market share of less than 40 per cent. However, other factors, including, but not limited to, the number and market share of other active entities, potential and actual competitors and buyer power are taken into account. Potential competitors are considered to be companies that could, with relative ease, enter the relevant market. There have been no merger cases in the pharmaceutical sector where there were significant overlaps, so there is no authority on how the Competition Council treats such cases and what weight it assigns to each of these factors. 16. When is an overlap with respect to pipeline products likely to be problematic? There is no case law as of yet where such overlap occurred and was thus analysed by the Competition Council. However, the general rules should apply here as well, meaning that such an overlap would create a problem only if the production of the pipeline products was fairly certain and there were limited possibilities of other producers offering the same type of products. 17. Which remedies will typically be required to resolve any issues that have been identified? There are two types of remedies that may be offered: structural (divesture, licensing) and behavioural (‘Chinese walls’, undertakings to behave in a certain way, etc). There has been no relevant case law in the pharmaceutical sector; however, as a general rule, the Competition Council tends to view structural remedies as being better suited to resolve any issues, since such remedies are straightforward insofar as their implementation and policing is concerned. 18. Would the acquisition of one or more patents or licences be subject to merger reporting requirements? If so, when would that be the case? The acquisition of one or more patents or licences could be subject to merger control if the respective patent or licence would have an attributable turnover derived during the previous year and the respective turnover would meet the general thresholds for notification. 19. What is the general framework for assessing whether an agreement or practice can be considered anti-competitive? eliminating competitors from the market, limiting or preventing access to the market and the free exercise of competition between other undertakings, as well as agreements not to buy from or to sell to certain parties without reasonable justification. 20. Have there been cartel investigations into the pharmaceutical sector? Yes, there has been a recent investigation in the pharmaceutical sector that has been finalised with a finding that a cartel existed between four entities active on the insulin market. Through Decision no. 15 of 12 March 2008 (currently available only in Romanian), the Competition Council imposed aggregate fines of approximately e22 million for market sharing. 21. To what extent are technology licensing agreements considered to be anti-competitive? Technology licensing agreements are not, per se, anti-competitive. Furthermore, there is a Technology Transfer Block Exemption Regulation, which applies for all clauses that would otherwise fall under the provision of article 5(1), provided that they are not hard-core restrictions. In order for the Technology Transfer Block Exemption Regulation to apply, the parties involved must each have a market share of less than 30 per cent on the market where they operate or, if they are competitors, a cumulated market share of up to 20 per cent on the respective market. 22. To what extent are co-promotion and co-marketing agreements considered to be anti-competitive? A co-promotion and co-marketing agreement is not, per se, anti-competitive. However, in order to fully determine the compliance of such an agreement with the competition legislation, the Competition Council will take into account factors such as the exact content of the information that is passed between the involved entities, whether or not their cooperation is indispensable for the achievement of their goals, whether or not the agreement is merely a facade used for the transmitting of commercial confidential information and whether or not, through the agreement, the parties are, in fact, sharing the market or the customers and refusing to compete against each other. 23. When is an agreement with a competitor (actual or potential) likely to be an issue? Can these issues be resolved by appropriate confidentiality provisions? As a general rule, such an agreement would constitute an issue if it could lead to the restriction, prevention or distortion of competition on the Romanian market. From a practical perspective, competition issues could be raised by agreements that amount to restricting productivity, market share, customer share, sharing of confidential information and so on. 24. Which aspects of vertical agreements are most likely to raise antitrust concerns? From a practical perspective, most competition-related issues raised by vertical agreements concern, without being limited to, restriction of passive sales, price fixing, non-compete clauses and exclusivity clauses that go beyond the limits provided for by the law. 25. In what circumstances is conduct considered to be anti-competitive if carried out by a firm with monopoly or market power? The abuse of a dominant position held by one or several undertakings on a relevant market comprises the anticompetitive practices used by said undertaking(s) in order to protect or increase their market share. taking advantage of the state of economic dependence of another undertaking that does not have an alternative solution under equivalent conditions, as well as breaking contract relations for the sole reason that the partner is refusing to submit to certain unjustified commercial conditions. 26. When is a party likely to be considered dominant or jointly dominant? In order to find dominance, the Competition Council will look at several factors, including, but not limited to, the market share of the concerned economic entity and of the other entities present on the market and the existence of any barriers to entry or of any insurmountable advantage that the allegedly dominant entity might hold. From a practical perspective, a dominant position is unlikely to be found if the concerned undertaking has a less than 40 per cent market share. 27. Can a patent holder be dominant simply on account of the patent that it holds? Yes, a patent holder may be dominant on account of the patent that it holds if, due to the respective patent, it achieves a dominant position on the relevant market. 28. To what extent can the application for the acquisition of a patent expose the patent owner to liability for an antitrust violation? As shown above, the acquisition of a patent may be subject to merger control. Other than that, the acquisition in itself cannot expose the patent owner to liability for an antitrust violation. 29. To what extent can the enforcement of a patent expose the patent owner to liability for an antitrust violation? As there has been no case law on this point, the position of the Competition Council is not clear. However, in light of the recent European case law, it is arguable that the enforcement of a patent could, in some circumstances, be construed as a refusal to deal, provided that the patent holder has a dominant position. 30. 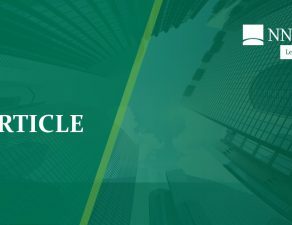 To what extent can the settlement of a patent dispute expose the parties concerned to liability for an antitrust violation? It is highly unlikely that the settlement of a patent dispute could expose the parties to liability for an antitrust violation. 31. To what extent can certain life-cycle management strategies expose the patent owner to liability for an antitrust violation? There have been no cases as of yet concerning life-cycle management strategies that resulted in antitrust liability. As a matter of principle and by itself, without any anti-competitive conduct on behalf of the producers of authorised generics, the practice of authorised generics raises no issues under the competition law. 33. To what extent can the specific features of the pharmaceutical sector provide an objective justification for conduct that would otherwise be infringing antitrust rules? Insofar as the alleged infringement does not constitute one of the so-called ‘hard-core’ restrictions, the specific features of the pharmaceutical sector may provide the basis for an objective justification defence against a charge of anti-competitive conduct. Are there any emerging trends or hot topics in pharmaceutical and antitrust regulation in your jurisdiction? The new regulation concerning the calculation of prices for medicinal products for human use issued by the Ministry of Health (i.e., Order no. 75/2009) changes the rules of the game for the players in the pharmaceutical field. The order, entering into force upon publication in the Official Gazette (i.e., on February 2, 2009), and abolishing the former in force legislation regulating the prices of medicinal products (i.e., Order 612/2002 issued by the Ministry of Health and Family, as further amended and completed) sets forth new rules for the calculation of the prices for medicinal products for human use, both for medicinal products newly entering the market, and for medicinal products already existing on the market, and whose prices have already been approved in accordance with the provisions of the former legislation. New pieces of legislation are still to come in the field of pharmaceutical regulation.